First, our 1-year anniversary is March 2 and we want to send out a GIGANTIC Thank-You to the CF community at large and of course our members! It is your help, feedback and drive that continues to progress and challenge our strength/skill, conditioning and warm up programs! The culture you are creating (yes, YOU) is amazing. As coaches, we enjoy every single day we get to coach, workout and even just hang out with each of you! 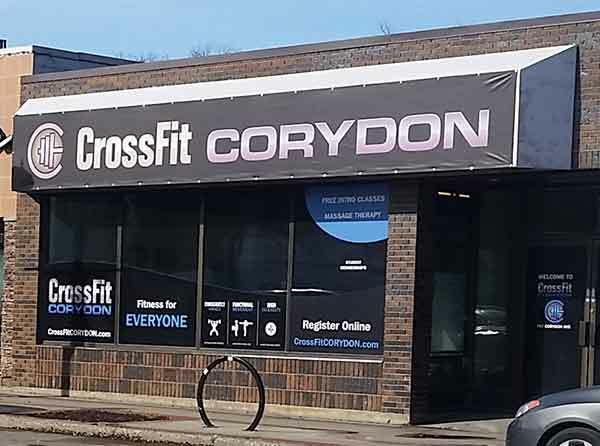 What is the CF Open? It’s a 5-week, 5 workout worldwide open competition where any crossfitter in the world can drop into any box, complete the workout and see how they stack up around the globe. 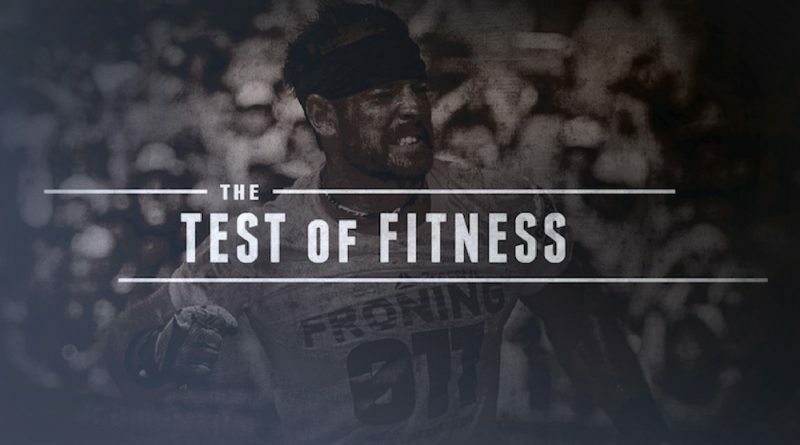 The CF Open in the first step (test of fitness) in the annual CrossFit Games, which crowns the fittest man, women and team on earth. For the 5-week period we will be incorporating the CF Open workouts into our program during regular class to give everyone a chance to bask in the awesomeness and intensity that the open environment creates. It is SO exciting! Our program is constantly evolving thanks to your progress and feedback. In our next stage we will be featuring some past favorite benchmarks, a continuation of our squat program, some additional skill/strength variations supporting increase mid-line stability and posterior chain engagement utilizing more loaded carries, kettle bell complexes, dead-lift variations and a variety of other fun stuff. We’ve made some adjustments to our accessory work throughout the cycle to better incorporate it into our time constraints, using “between sets, complete X & Y” as well as some “every minute” strength/skill circuits. We know you like them based on feedback and also this will compliment growth in our gymnastic strength and overall muscular engagement in the activities. You will notice more challenging styles of movements and added variety across those styles – such as loaded carries, lunges and new gymnastic/stability progressions – Why? Because gymnastics, core strength and motor control are a fundamental part and foundation for sport and this streams purpose is to be better in the ‘sport’ of crossfit. Continuing our coaching/program philosophy of ‘Scaled Adaptation’ tailored to You! Scaled Adaptation is our way of saying, “It’s your workout, let’s adapt it to you.” Particularly for our masters athletes (50 years +), those new to crossfit (3-4 months) or those who have some specific training goals or physical limitations. We have our workouts as-posted but as you know, our coaching team will GLADLY recommend scaling options or alternative work to suit you. Our program is designed to adapt to you. Example: By doubling the daily rep scheme and having the coach scale movements or working with pauses, tempos, depth targets, etc. for a few weeks; you might be amazed at how far your movement patterns, confidence in that movement and overall engagement can progress in terms of muscle activation and strength. Take the opportunity to build better movement now and work towards the target percentages/ reps later. THIS IS YOUR FITNESS and YOUR PROGRAM. We sincerely hope the answer to all these is “yes” and hope that you leave CrossFit Corydon better than you came in every single day. Are you happy? In general – with your friends, family, work and energy levels and how you’ve been able to incorporate fitness into that. Bringing positive energy and outlook to every workout is essential to progress, as our good days should always out number the lesser and we hope when you enter CFC you look forward to a positive experience that reflect positively in your day-to-day life. Are you getting the most enjoyment out of your experiences and seeking new and challenging ones? We do many movements and things that others and you yourself may have thought impossible before. This attitude and mindset should extend outside the gym, so be adventurous and find new ways to challenge yourself – try new foods, play new sports, take a class, climb a mountain.. Oh, and send us a pic with you doing so and we’d love to post it up on the CFC page! Is your level of fitness progressing with the program? Are you being challenged? Are you challenging yourself to push for one more rep, to spend extra time on mobility and to take control of what you want to achieve each day? You are getting stronger, faster and fitter; you are moving better and healthier, don’t forget how you achieved that and to come to each class and workout with that same vigor and intensity that you did when you started – it’s when that ‘one-more-rep’ fire-like mindset appears that the magic happens! Something I like to remind myself of every couple weeks is why I got into crossfit, why I continue to stay with it and what the program and methodology really is. It is MUCH more that what I have written below but I hope you feel that same level of confidence and empowerment in knowing that the program we follow is truly there to build and enhance our application and understanding of fitness and general physical preparedness for every day living. It is a universal strength, skill and conditioning program. It’s community-based, constantly varied functional fitness, often combined with high intensity. It incorporates measurable weightlifting, gymnastics and both aerobic and anaerobic activity to improve the overall level of fitness and quality of life. If you do not have proper Range of Motion (ROM) in your foundation, all other areas will take the brunt of the load when put under stress. This means many of your leg, hips and shoulder pains can be traced back to the ankles/calves. If you have issues, source them back and work on them – either start with the ankles and work up OR start with the shoulders and work down. “Heavy” for the day is the load immediately before that at which you would lose proper mechanics and positioning. Stop as soon as you determine that you’ve reached that load. Eat for Performance – At CFC, you work hard and earn your progress. That should be complimented by food.. REAL FOOD, so EAT! Many times we kill ourselves in a workout or over the course of a few days and all the sudden our energy levels drop or we start to feel a little weak. Yes, this is a possible indication of fatigue but also an indication that you need to re-fuel. YOUR BODY NEEDS CARBS, more so YOUR BODY NEEDS FATS and even more so YOUR BODY NEEDS PROTEINS. So don’t starve yourself or think you’re doing yourself a favor by not refueling after a workout or hard week. Oh, and one more thing… GO OUT AND HAVE SOME FUN!